4 Bedroom House For Sale in Frimley for £699,000. 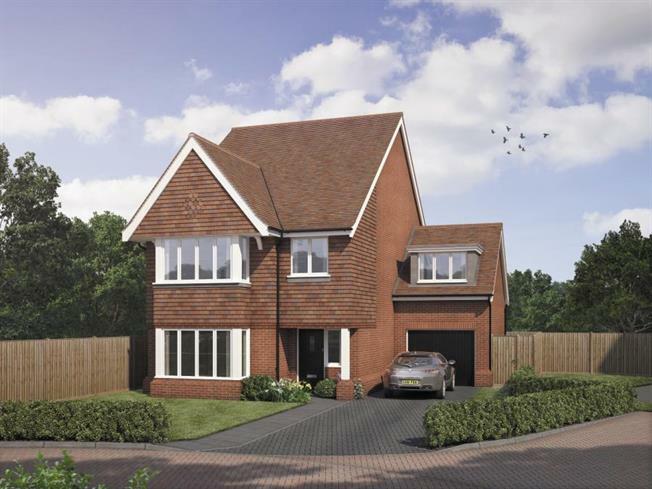 'The Brimstone' is a stunning 4 bedroom home with single garage and parking. The heart of this impressive home is the large Kitchen/Dining/Family area with double doors to the west facing garden. There is a separate living room with feature bay window, downstairs cloakroom and integral garage with utility. On the first floor there are 4 bedroom with the master bedroom boasting an en-suite shower room and the family bathroom. Located via the leafy Old Bisley Road and conveniently only 2 miles from Waitrose supermarket on Frimley High Street and Frimley Train Station. Camberley town centre has a fantastic range of restaurants, shops and bars and also has a theatre, cinema and bowling complex and is just an 8 minute drive away. Pine Ridge Golf Course is also right on your doorstep. There is also a 10 years builders warranty providing peace of mind.